The HC577 L is an extremely small reference head-worn microphone, designed for on-stage use. 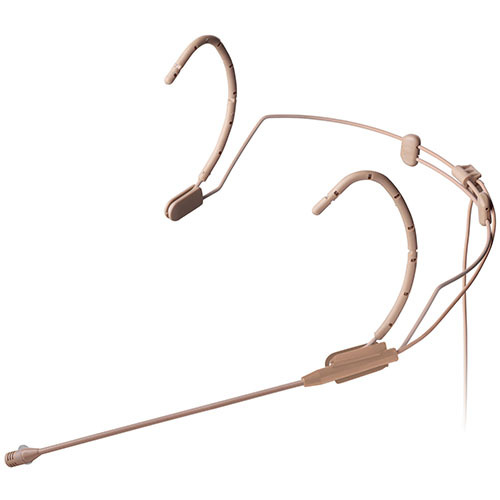 The microphone uses a CK77 omnidirectional transducer that has been an industry standard for lavaliere capsules for years and ensures superior audio performance. A patented body design protects the microphone from moisture and perspiration. The capsule uses the signal of two vertical diaphragms mounted back to back, mixed out of phase to cancel out mechanical and cable noise. The HC577 L provides a professional three-pin mini XLR connector that fits the body-pack transmitters of all AKG wireless microphone systems.